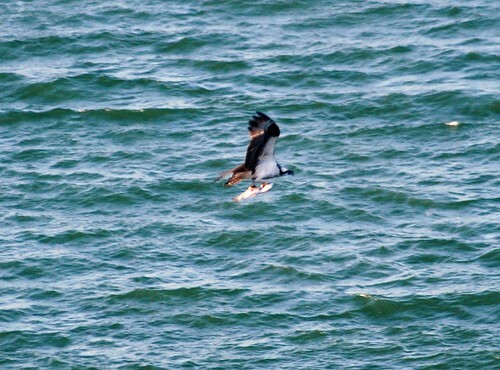 An osprey with a large fish over Lake Shasta - the fish was almost as big as the bird itself. We watched it fly with the fish for some time, the fish wildly flapping as it tried to get away. Finally the bird disappeared over a ridge, pursued by a small flock of turkey vultures that wanted their own slice of the osprey's fish supper.